Who’s ready for musical improv? 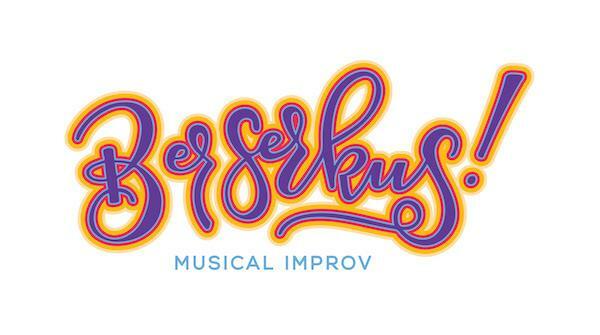 The San Diego improv scene has grown quite a bit in the past several years and now a year-old musical improv group Beserkus is taking the local scene by storm. Among the group’s six players are North Park residents Justin Robers and Missy Gurga along with South Park resident Dean Sage. 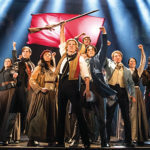 The trio acknowledges that while the members are as diverse in their professional backgrounds as they are in age, the chemistry between them as performers is undeniable. Robers, who is also the guitar accompanist of the group, said those who are unfamiliar with musical improv can think of it as resembling the scenes in a comedic musical. Their sets typically include anywhere from six to nine scenes, Gurga said, noting that if audience members are especially lucky, they may get to experience a rap battle. Beserkus may only have been together a short time, but Sage said he feels things are going better than expected. 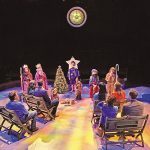 The group continues get more and more attention, he said, which has been combined with positive feedback and attention from audience members and the improv community alike. 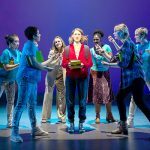 Those interested in checking out an upcoming show are in luck. Beserkus is the reigning champion of the Cage Match series at Finest City Improv, located at 4250 Louisiana St. in North Park, and they will be defending their title on July 14 at 10:30 p.m. 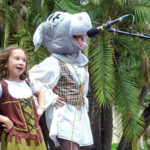 They will make a return visit on Aug. 3 at 8:20 p.m. at Finest City Improv. 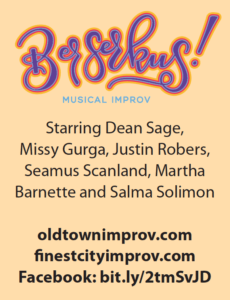 Beserkus will also perform on July 23 at 7:15 p.m. at the Old Town Improv Co., located at 2415 San Diego Ave., Suite 103.